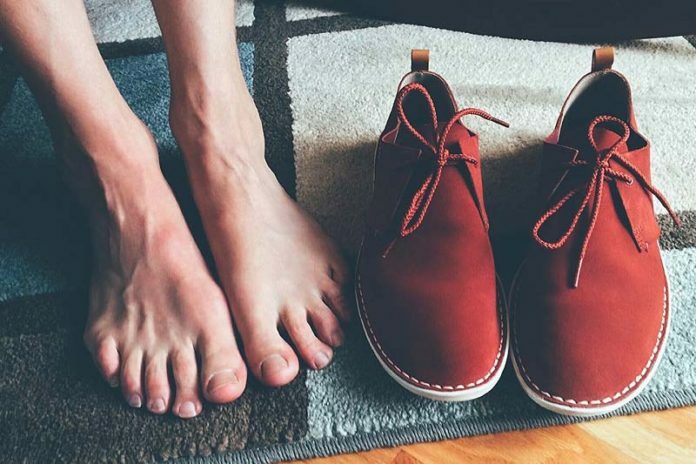 And if you are one of them, then a good way to get rid of such discomfort while walking or running is to use shoes that help minimize the effects of flat feet. Below, we look at four tips that can help you choose such shoes. Look for shoes that have an artificial arch support in them. Without proper arch support, your foot is banging flat onto the ground. This can eventually damage the tendons and cause even more problems while walking. The artificial arches act like a spring that support the feet by evenly distributing the weight across them. They also absorb the shock when the feet come into contact with the surface, thereby helping minimize any possible damage to the tendons. You can also try out orthopedic shoes in case you suffer from very severe flat foot issues. Such shoes generally have steel shanks and hard heel counters. In addition, some manufacturers also provide shoes which have padded collars, heel locking mechanisms, and so on. But on the flipside, orthopedic shoes may cause greater discomfort to some people. As such, make sure that you try it out and walk in them for a few minutes to see if the orthopedic shoe remedies your flat foot troubles or worsens it. When people with flat feet walk or run, they usually turn their ankles inward, which can stress out their knees and cause pain and discomfort. And if you suffer from such a condition, then you should try to get shoes with stability control. These shoes can not only minimize such discomforts but also provide a good deal of cushioning to the feet. Stability control shoes are ideal for people who suffer from mild flat feet. Another option you should check out is the motion control shoes. This is ideal for people who run a lot and have feet with low arches and are susceptible to over-pronation. The main focus of a motion control shoes is to keep the ankles straight when you move around. And to achieve this, such shoes will have a dual density foam that is placed just below the arch’s medial side. However, it is very likely that only people with severe pronation will be comfortable with motion control shoes. People who have mild issues with flat feet may find the shoe to be very restrictive. So, keep the above points in mind when looking to buy a shoe and finding the best walking shoes for flat feet will feel like a cake walk. Just be sure to read the customer reviews of a shoe before purchasing it to ensure that they do deliver the comfort as expected. Running Shoes for Flat Feet! What heels are good for flat feet?